We’ve stayed in Cairns before and found it be simply a tourist conduit for the Great Barrier Reef, so we only popped in to run some errands and to buy some fuel. We also needed to do quite a bit of printing for our schoolwork, so rather than anchor in the ‘duck pond’ in the main river we booked a berth at Marlin Marina where we could access shore power. The marina was OK, but not particularly friendly and surprisingly – and annoyingly – lacked any kind of chandlery. What did amaze us was the shorefront development that has sprung up since our last visit. 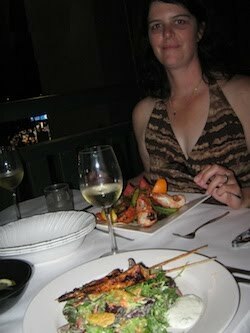 We had previously found Cairns’ night life to be somewhat dull (always excepting the excellent Kanis seafood restaurant), but now the waterfront is ablaze with interesting pubs, restaurants and cafes and local people having a good time. We had a great time at the bar there and met a lot of interesting people, but our chores were done and there was no reason to stay so we cast off and motored back out of the river. Unbeknownst to us, the Alana Rose, which has been a week or two ahead of us all the way up the coast, had returned to Cairns to repair some electronics, so we must have passed within a hundred metres of them on our way out without noticing. That was a shame, because we’ve only ever spoken to Nancy and John via email and it would have been great to meet them in the flesh. Out in the channel, we discovered that yes, there was still no wind at all. We really wanted to make some northing, so we resigned ourselves to a day of motoring in the stifling heat. 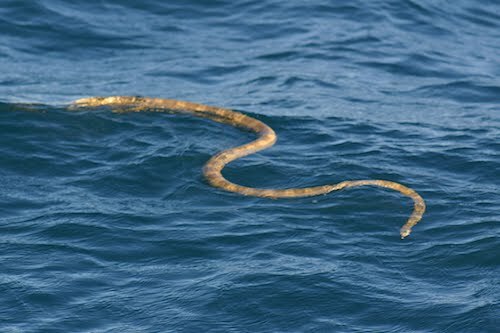 As well as a few whales, which surfaced to breathe but which otherwise didn’t show themselves, we came across another of those yellow swimming snakes, which decided after a while that it didn’t like the look of us and dived vertically downwards. This entry was posted in Australia, Oceania, Travel, Voyage of Pindimara and tagged Sail on 2009/08/15 by Reinhard. I’m doing some research into friction when walking on concrete / ice and I read a great article of yours here (http://www.h2g2.com/edited_entry/A283240). I was especially interested in the part about the soles of our shoe filling the valleys in the ground at a microscopic level. I had wanted to check what sources you had read for this element of the article, as I’d love to learn more about it. Thanks very much, hope to hear from you soon!